A network of the top media makers from all over regional Australia. the rural room media stringers are Ready to share stories from the sticks. Amanda has always loved the power of photography and enjoys photographing her family and animals. She grew up in Northern Victoria where she enjoyed an idyllic childhood riding horses, playing and reading. Amanda completed a Bachelor of Arts (Honours) and Master of Arts at Melbourne University and also gained a teaching qualification. She worked as a senior English and History teacher in Northern Victoria schools before eventually moving to Deniliquin with her husband, Steve, a pharmacist. Amanda and Steve gradually expanded overtime and are now full-time farmers. They run a mixed farming property with a self-replacing Shorthorn herd. Amanda loves the creative licence of digital photography and employs it to highlight the value of Australian agriculture. She has edited work at tertiary level, has her own website and chairs the Deniliquin branch of the NSW Farmers’ Association. Annabelle Cameron grew up in Melbourne, Victoria. She completed a Bachelor Degree in Applied Science (Psychology/Psychophysiology), along with a Post Graduate Diploma in Education. Annabelle started her career as a primary school teacher in Melbourne before leaving the rat race for a teaching position in a small country town in the Western District of Victoria. Shortly after arriving, Annabelle met her husband. Together they run a family owned property farming sheep, cattle and operating a hay contracting business. Annabelle is also a mother of two teenage boys. Additional to working with livestock on the farm, Annabelle used her Applied Science degree within a position in the public sector in Animal Health and Welfare. The position took her all over Victoria from The Otways through to The High Country. During her travels around Victoria, Annabelle met a variety of characters from all walks of life. This inspired Annabelle to take up photography so she could share her stories and that of others. She sees storytelling as an opportunity to bridge the city- country gap as she has had the pleasure of enjoying both worlds. Astrid Volzke is a photographer who loves to capture stories and real emotion. The character and atmosphere of people and place. Working as a full-time press photographer for 9 years at the West Australian Newspaper. This experience took her all over the countryside, interstate and overseas and has shaped her documentary style of photography. Astrid uses her knowledge of visually capturing stories plus her versatility in documenting people from all walks of life and all situations to inspire others to push the boundaries of their photography skills and experience. Astrid spent many years in Perth but now lives on a farm in Moodiarrup, Western Australia where she and her husband own and manage a private rural campground beside Lake Towerrinning. Astrid runs photography workshops in rural communities teaching participants to create a photo story using the cameras and devices available to them. Astrid understands how important it is to bring rural community together in a focused way and a photography project is a great way to to do it. "I've had a passion for photography for about 25 years. I started when I had children, trying to capture all their special moments and achievements. After attending workshops with different instructors I gained confidence and started my own small home photography business. I love to capture life in rural Australia - I feel that photos can tell the real story of drought, hardship, the joy of rain, family life and work life along with so much more. Through my photos I would love to be able to close the city/ country gap and educate our city friends on life in the country in times of hardship and prosperity. I also love to celebrate our small communities through my photos, there are so many people doing wonderful things out here and they all should receive recognition, even if it's only a small article or photo in the local newspaper or newsletter. My husband and I run our family owned cattle station in Western Queensland. At present we are battling an horrendous drought but in drought there is still beauty and a story to tell and this is what I love to do." Farmstay Australia website is designed as a directory of properties to promote tourism to rural & outback with Farmstays & Stationstays Australia wide. 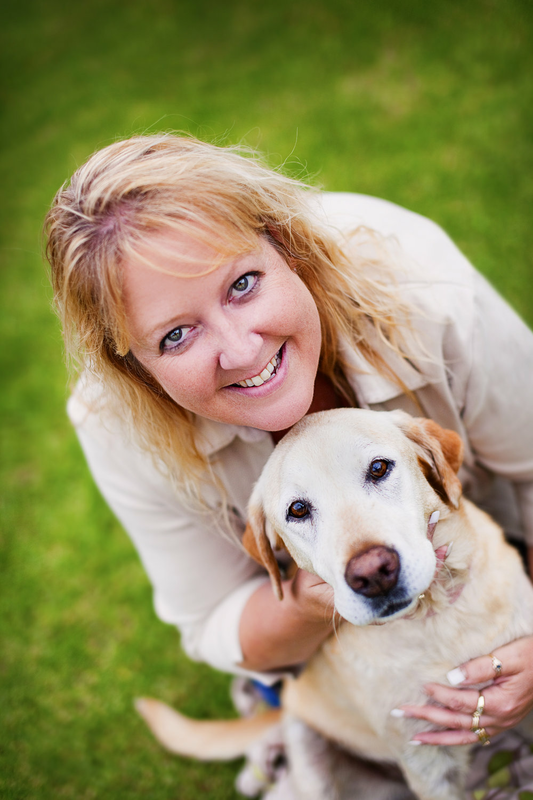 The website was started in May 2011, by Di, a wedding, portrait & landscape photographer from the outskirts of Sydney, and also being a trained veterinary nurse, her skills have come in handy a few times in her travels, with calvings & injured animals. Di loves her travel of Australia with her caravan or swag, & her trusty Labrador Tilly, chatting to people anywhere and everywhere about farmers, tourism, life on the land, and what farmers experience in day to day life. Tourism now plays a vital part in many farming enterprises and country towns. Many offer accommodation and / or camping, with the ever growing number of traveling nomads on the road with their caravans and campers. Each year the growing number of properties opening their farms to holiday makers & travellers is growing. Often people stay and help out for a week or a month & lifetime friendships are formed. The website is easy to use for couples, families and travellers planning a week long holiday, weekend getaway or year-long trip on the road. Properties vary in size, shape and character. Some farms have destocked due to drought & tourism is their only income. Accommodation styles range from rustic shearers quarters, a farmhouse to elegant homesteads accommodation, where you can cater for yourself, or join your host family for meals. Activities vary from kicking back and relaxing or being involved in farming activities. "The more work I do within rural communities the more I'm aware of the amazing stories that are hidden in the regions. Everyone has a story to tell, and those that are moulded by our sometimes challenging environment are fascinating and inspiring. It's also becoming increasingly apparent that the way we manage our land and work with others is crucial if we are to keep regional communities resilient. "My passion for all things wool started as a kid when I used to rush over to the woolshed as soon as I got off the school bus. I was in awe of the wool handlers, of their love and pride of their job, their grit and determination and their fierce loyalty to the industry. They were strong women, and I wanted to be just like them. So I did. I started wool handling in the school holidays when I was old enough which led to being full time. I did a couple of seasons in a blade shearing gang before flying over the ditch to Australia ten years ago, and have been wool classing for the last eight years. In the time I've been in Australia I’ve developed quite a love of the historic woolsheds and try to escape to photograph them when I can. Recently I have taken the next step up the woolly ladder and into a wool store. " I have grown up living and breathing the agricultural industry I grew up on a cattle stud. As I got older, left school I had a burning passion for health and felt I needed to follow my passion. 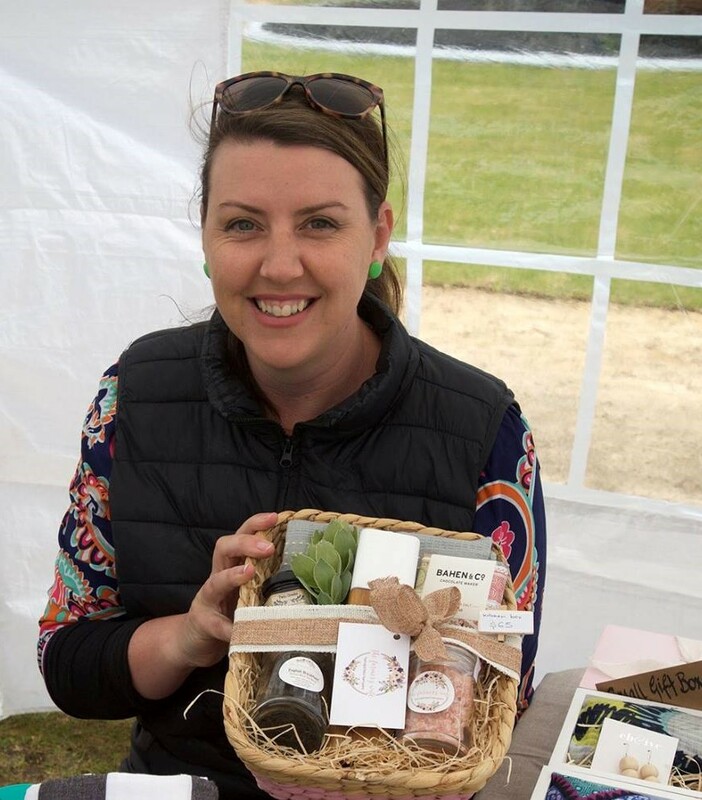 Once becoming qualified as a Naturopath and Nutritionist I have found a way I can blend my two passions together and now I have a business helping those with their health in rural areas. With my background and knowledge of the agriculture industry I find I can relate and connect to my patients as can understand what they are going through. I treat many conditions from women’s health, poor energy, stress management, mental health, anxiety, pre-natal and post-natal, gut health, hay fever the list goes on. My latest project that I have been working on is a group for rural women who can connect and feel support not isolated while having a focus on educating about their health. Helen is a self-taught photographer whose pleasure is to focus on the rural and natural environment in which she lives, and showcase it to its best advantage. She uses natural light and shadows to capture and highlight particular features to create a mood in her images. Helen takes advantage of the varying light during different times of the day, particularly as she lives in an area where there are many farm dams and naturally interesting focal points. Helen revels in the study of the visual variations of the seasons in rural areas, and she uses this to her advantage to produce some amazing effects. She uses little or no editing of images, preferring to leave them as raw as she observes them with the naked eye. Helen has made a concentrated effort towards refining her practice for an extended period, she has adapted a keen observational approach to celebrating and capturing the rural story through imagery. Currently shooting equine & bovine, Jacqui has a high interest in shooting rural landscape and people including engagements and weddings. She endeavours to be a more general rural, lifestyle and animal photographer. 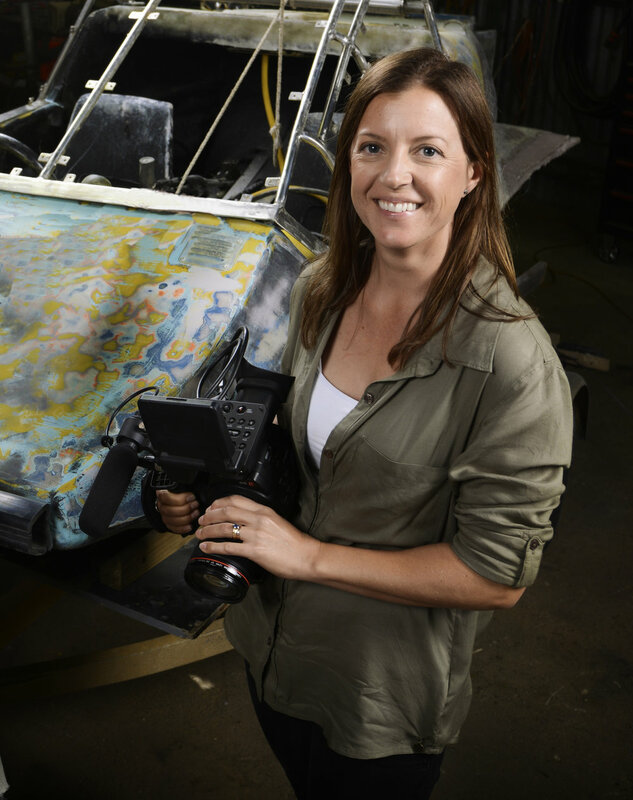 A passionate advocate for the natural environment, Jennene Riggs has been filming Natural History documentaries since 1998, originally starting out with the National Geographic Television special Tiger Shark (1999), before concentrating the next decade on Producing over ten highly acclaimed and resourced wildlife documentaries together with her husband Dave Riggs. During this period Jennene established a strong relationship with many scientific organisations including universities, zoos and aquariums, the Parks and Wildlife Service, Fisheries Dept, and countless non-Government organisations, allowing her privileged insight into many cutting edge wildlife research programs. Jennene thrives on the challenge of engaging an audience to sympathise with an environmental cause through highly creative yet ethical film making that showcases the unique behaviours of her animal cast and provides exclusive access to the fascinating world of those who study them. Jess Lehmann's rural background is in her blood. She grew up on the family farm at Narrabri, North West New South Wales and with her father’s words of support ringing in her ears, Jess set on a path of innovation and agricultural research. Jess has been involved with research projects that deliver environmentally sustainable and ethical agriculture including a world first biologically based pesticide to support global food security called Sero-X® and topics that showed a reduction in greenhouse gas emissions in ruminant animals. Jess recently won the 2017 Young Cotton Farming Champion award to represent the Australian Cotton Industry, sponsored by the Cotton Research Development Corporation. Jess was raised as the daughter of one of the cotton industries’ most passionate and innovative men, Mr Chris Lehmann, who left a legacy after being the first independent cotton consultant in Australia. Jess’s grandfather, Vic Melbourne was one of the first pioneers to farm cotton in North West NSW in the 1960s. Recently, in celebration of the clothing brand Jeanswest, Jess was given the opportunity to be the face of the rural cotton story behind the 100% Cotton Womenswear Collection spring launch, in collaboration with Cotton Australia. Jess was able to inform consumers about where their fibre comes from and thank them all for buying clothes made from Australian Cotton, as it helps her family farm and the 1200 cotton farms in New South Wales, Queensland and now into Victoria where cotton grows. Jess is a great ambassador for the Agriculture and the Australian Cotton industry. She is also thrilled to be teaming up with the Rural Room as a Rural Room Rising Star and Media Stringer to share the best part of regional Australia, whether it be in growing, research, marketing or support to local rural communities. "JV Media is an extension of me; me being Joshua Van Staden. I'm a 16 year old who has a passion for technology, videography and photography. I started JV Media in 2013 when I wanted to pursue this passion for photography and videography into something even greater. Now days, I have worked with major companies locally, and nationally, to provide them with high quality video and photographic content. My dream is to travel the world with these foundations I have built through my business, and keep following my passions." "I can’t explain why I do the work I do – traveling around the countryside, taking photos, writing stories, collecting material for future artworks – I just know that is has become who I am, what I am known for. I feel at a loss when I can’t take photos, or don’t have a creative outlet. I have become accustomed to ‘being on the road’ after having lived out my suitcases for the past few decades - that’s scary! Makes me sound really ancient! I find I need to be out there searching for something – I never know what that is until it finds me. I have had to reinvent myself as the world and life around me changes, that reinvention continues as I take on remote roadtrips, venturing to places, taking on jobs I never thought I would have the courage to take on alone." I love to capture emotion; fleeting moments and memories. To tell a story. To make you laugh or cry or feel moved to take action. Videography enables me to tell the story of the rich tapestry of life in outback Australia and of the people who live here. I film and edit the footage I capture and find great personal joy and satisfaction in both aspects of the process. Having lived in Outback Australia for over 20 years I can relate personally to the stories and characters with whom I work. Kate Rutter is a farmer’s wife & mother of two situated on the Liverpool Plains near Quirindi NSW. A self taught cartoonist influenced by rural life, farming & animals, Kate loves to add a cheeky bit of humour to her cartoons. Kate uses a mix of pencils and paint on paper, painting on board/canvas & digital tablet to create her cartoons. "I’ve lived in rural communities my whole life, and I'm currently living in the small town of Mingenew, WA where I've been for 8 years. I love everything about this community- the people, the landscape and the stories. I currently work for our local farmer grower group, where we conduct research, development and training to farmers to help improve their farm businesses. Prior to taking on this role late last year I was managing an 8000ha farm for four years. This was not a family farm and was by far the best and most challenging work I’ve ever done, and gave me immense respect and love for the landscape. During the past ten years I’ve worked for Farm Weekly on a casual basis a few times a year, covering mainly livestock stories. I love hearing people’s passion for the land, their stock and what they do, and sharing this in writing and photos is a privilege. I understand the issues country people face, but more so the opportunities they have by living and working where they do. I have a passion for photography and writing, which I currently do not use much, but would love to be able to express my love of agriculture with these means." "I love a wide range of mediums including conceptual and studio based portraiture photography. I also enjoy candid social documentary work and photographing nature. I'm planning on moving into family portrait work since moving to Australia and have just recently become a volunteer photographer for Amnesty International SA. My early inspiration was Henri Cartier- Bresson for his ability to capture human nature. I love the work of Anne Geddes, Anne Leibovitz and I always admire Magnum photographers for their bravery. More recently I have been following Brooke Shaden, Rosie Hardy and Joel Robison for their ability to create magic through their work." I am self-taught photographer who loves to capture my family's life on our sheep and cattle property in Outback Qld. Photography has been a passion for as long as I can remember and capturing the beauty in the everyday, whatever the season, is a constant goal of mine. Overtime, my photography business has evolved to include photographing rural families in their environment, commercial and event photography. I am passionate about capturing and sharing the positive vibes, stories and communities of rural Australia. I have collaborated with Kirstie Davison of MaRiKi Media to document the memories of our community members before these stories are lost forever. We have such unique, authentic, down to earth characters in the bush and to capture these stories is a privilege. My passion for our small community has also extended to utilising social media to create an Instagram account to collect images from community members of which these have then been printed and installed as stickers on the front of empty shop windows. These images show why locals love to live where they live, what they do for work and play, and the unique sights we have to offer. The outcome was hoped to create community pride, the result of which has exceeded our expectations, and to showcase our region to tourists and visitors. We hope to achieve being a small part in the big picture of bridging the gap between city and country. I am very excited about being part of the Rural Room Media Stringers Team and cannot wait to see where the journey will lead to. "It was a revelation to discover film making and it is a great privilege. I look back to when I studied drama at school to capturing the art first on a Sony Cam recorder. Taking on an acting roll to pursue the dream of becoming a Film Maker. I love Australian history and believe a great story should be captured on film. The Film Industry allows you to explore your talents and creativity, so it was my passion to show and to give other film enthusiasts to come on board and experience the film industry. Farm Gate Production was developed to show the world that Regional Film Makers are out there. We specialise in production of Short Films and Features but also branching out to Documentaries." "I'm a city girl who has recently embraced the farming life with my partner and three young children in Cranbrook, in the Great Southern, Western Australia. Previously from a background in marketing, communications and the arts, I have channelled my creative eye and love of the handcrafted gift into the farmer’s wife handpicked hampers…a gift giving venture to initially help farmers with a place to go for lovely gifts, to spoil their hard-working wives. The Great Southern has provided a great place to meet some amazing farmer’s wives in business and creativity, which has helped my business bloom. I am passionate about writing and fine arts - my life 'before farming' was in communications and event management in the fine art and heritage industries. My focus was heritage tourism and I still freelance with media work, marketing strategies, grants, events and articles." "Photo-taker, video-maker, word-writer, adventure-seeker, I reign from farming lands on the west coast of Western Australia. Born into a family of farmers and station people, pilots, photographers, writers, and story tellers, I suspect I was maybe destined to live the life of a floater, armed with a camera, ever in search of adventure and stories. Once qualified in the Dark Arts of Politics, International Relations, and Journalism from the University of Notre Dame Australia, I took off in search of passport stamps and adventures, only to return home to the bush in order to work to fund the next overseas trip. For many years, my story telling and inspiration stemmed strongly from those adventures and my interest in international development. However, my increasing stints back to the bush have left me with a new connection to and appreciation of the lifestyle, industry, environment, and country that I am privileged enough to have grown up a part of. I’ve been home for a while now, driving tractors and hanging out among the gum trees and red sand and by the seaside, and more so than ever, I find myself so inspired by the breathtaking beauty and diversity of Australia and the stories of those who live, work, and breath it. I hope to use my skills and passions to capture the many magical moments and stories from the sticks that so often go untold." A passionate Rural Roomie and Stringer/freelance cameraman. Terry owns 20 Panasonic broadcast cameras from HD SD broadcast shoulder mounts to handy cams. Terry has been 25 years in the industry and his client list still are Sunrise on Seven, The Project on Ten, The Today show Nine. "I'm an author, assistant event coordinator, lover of regional Australia and an advocate for Australia’s agriculture industry. I have a fondness for adventure but have recently moved back to my family’s prime lamb and broad acre property in Konnongorring after travelling around Australia for over two and a half years. During that time, I expanded my practical knowledge of the Agricultural industry and was on the hunt for stories and life experiences. Now on my family’s property, I am trying to settle into a role assisting with the precision agriculture and livestock aspects of our enterprise while also working off-farm. I'm committed to closing the divide between the consumer and producer by sharing stories. I hope ‘Five Thousand More to Go’, my children’s book, is the first step in educating children about the steps behind wool production while engaging and encouraging children who can relate to this story to develop a love for story telling and reading. I'm also committed to ensuring the gap is eliminated in regards to the statistics associated with mental health in regional Australia. My drive for change led to the revitalisation of the Yaraka Bachelor & Spinsters Ball in Western Queensland. This is now an event which raises funds to support mental health organisations that directly assist those in Western Queensland. My travels around Australia have provided me with some exciting opportunities such as being a columnist for the ‘View From the Paddock’ section of the Queensland Country Life, a part of the Heywire Trailblazers program and having the opportunity to share pieces of my work with publications around Australia. Most importantly, my experiences have allowed me the opportunity to meet some unique and interesting people. The best kind of stories are the kind exchanged between strangers that became friends while perched on a bar stool when I stopped for a counter meal while passing through a small town. I am looking forward to working between the farm and as an assistant event coordinator for Western Australia’s largest agriculture field days while settling in to my new community and planning my next big adventure. Most importantly I am looking forward to being a part of the Rural Room Media Stringers program showcasing the best of regional Australia!" Tom just loves his sport. From an early age, growing up on the family farm in Borden, sport has always played a significant role in his life, and since then he has been involved in a number of sporting teams across regional WA. From the farm, he spent time working for COFCO, a Chinese agricultural trading company, before completing his studies and moving into the sports industry. He has now worked for the West Australian Football Commission as the Regional Manager in the Great Southern for the past 5 years. Tom wants to tell sports stories from the sticks and highlight the integral role that sport plays in regional communities. My names Zoe, I didn't come from a big property, my mum and dad don't farm and I wasn't blessed with tones of farming opportunities, I grew up in the middle of a city as a kid and I LOVED animals. I studied Agriculture in high school after my parents finally moved to a small acre block one hour from Melbourne, my teacher was extremely passionate about encouraging us young students to join Ag, to be a part of the ageing industry, his words stuck to me like glue! Once I finished school I started traveling Australia working on farms and stations to experience the hard farming life and I love it. Along side that I have recently set up a small business called Young Aussie Farmers which I'm hoping will one day be able to support as many young Aussies as possible to be a part of the Agricultural Industry in Australia. I am very excited to be teaming up with Rural Room, thank you for this opportunity and I hope we can all do the industry justice!